We felt fortunate to be in such good hands! Ricardo, Ishmail, and Marty were excellent at providing council and helping us get everything packed and loaded into the truck. Honestly, it looked to us as though not a single molecule of space remained in the Cummings Van at the time they closed the doors. Organizing the loading of goods, many of which are coming out of closets at the last minute is a dark art, Ishmail is a master at this. Ricardo provided guidance and helped us through the decision making process for insurance, yet worked with the other two to continue the steady stream of goods and furnishings that needed to be boxed and place in the van. Marty was amazing – loading, loading, loading, box after box of books. We have now realized we have WAY too many books, but he never indicated this was anything out of the norm, just smiled and continued to find items that needed to be protected with bubble wrap, wrapped them, and moved on to the next item – asking whenever necessary about how we wanted this or that item to marked for unloading purposes. Ricardo arranged for an early start the next morning and the team arrived early to unload. We were a bit less organized on the unloading segment, but each of the three people – Ricardo, Marty, and Roberto, were patient, quick, and provided council on where something might go for the near term if we were unable to decide where an item should go at the time it needed to be unloaded. 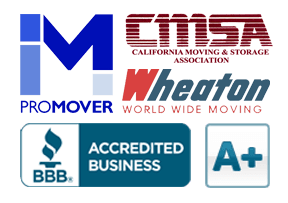 All of your team made the best of the efforts, acted very professionally, and managed our move at the highest level. Really, we cannot thank the team enough, and our gratitude to Megan, Enrique, and any others that might have made this move just a bit closer to perfect.